Red Wine, Green Tea and Dark Chocolate: Do you know your omega-3 blood levels? Do you know your omega-3 blood levels? Although regular intake of the omega-3 fatty acids, EPA and DHA is believed to have several health benefits, some questions remain unanswered. Do we all need more omega-3 or just some of us? Is eating fish sufficient or do we need to take supplements? Is there a way to tell if the cells in our body are getting enough omega-3 or if we are deficient? Yes. 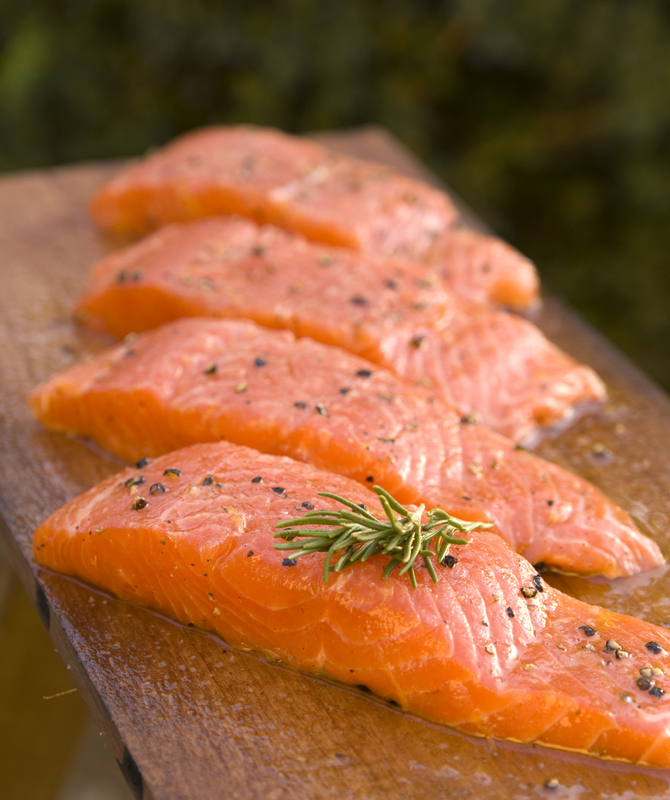 The Omega-3 Index may provide answers to some of these questions. 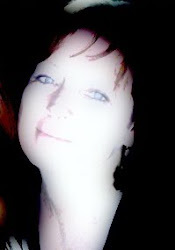 may provide information about the future risk of heart disease. Studies show that a low Omega-3 Index is associated with increased risk of cardiovascular disease, and it has been proposed that raising the index may help to reduce risk. The Omega-3 Index reflects the relative amount of EPA + DHA in red blood cells. It is expressed as the percentage of the total amount of fatty acids present. In fact it’s quite simple; if 8% of all the fatty acids present in red cell membranes is EPA+DHA, the Omega-3 Index is 8%. It has been hypothesized that the Omega-3 Index may predict the risk of future cardiovascular events such as coronary heart disease and cardiac arrest. If that’s correct, a low Omega-3 Index may be regarded as a risk factor, similar to smoking, high blood pressure and high blood levels of LDL cholesterol. span longer, the average Omega-3 Index is 9-10%. This is because the population in Japan eats more fish than the population in the US. 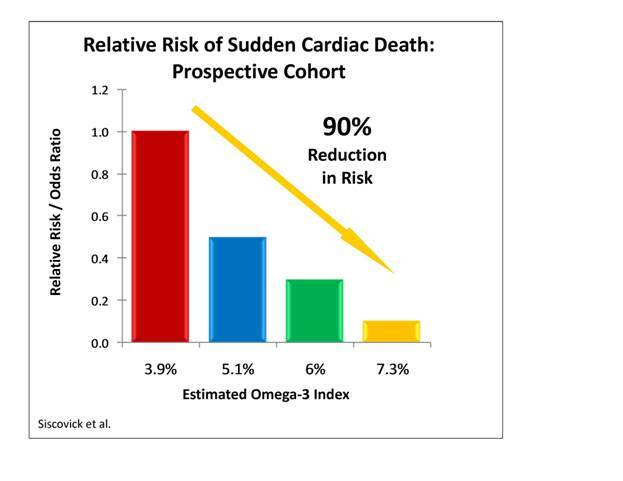 Data from epidemiological studies and randomized controlled trials demonstrate that the Omega-3 Index was inversely associated with the risk for mortality from coronary heart disease. An Omega-3 Index of ≥8% was associated with the greatest protection, whereas an index of ≤4% was associated with the least. Another study, published 2008 showed that the Omega-3 Index as independently associated with the risk of developing acute coronary syndrome. 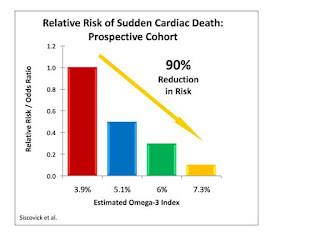 An Omega-3 Index >8% is optimal while an index of <4% may be regarded as deficient. The simplest way to improve the Omega-3 Index is to increase the intake of EPA and DHA by eating marine products rich in omega-3 fatty acids. For people without cardiovascular disease, most experts recommend eating a variety of fish (preferably oily) at least twice a week to maintain a mean intake of 4-500 mg of EPA+DHA daily. For those with documented coronary heart disease, a daily dose of EPA+DHA of 1.000 mg per day is recommended. For someone wanting to achieve the suggested ideal Omega-3 Index of 8% 1500 mg of EPA + DHA is suggested. Finally for individuals with elevated serum triglycerides a daily dose of EPA + DHA of 2000 mg to 4000 mg per day is what doctors suggest. Since fish may be contaminated with mercury and other pollutants, be sure the fish oil supplement you choose is purified and has been third party tested. IFOS, The InternationalFish Oil Standards program offers consumers a way to compare the highest quality fish oil brands. 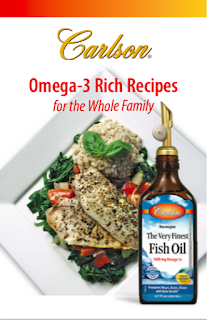 Carlson offers a wide array of potent pure fish oil supplements that have been tested by IFOS.